The Physical Education program at Berkwood Hedge fosters a love of physical activity and promotes healthy habits that lead to a lifelong commitment to health and wellness. 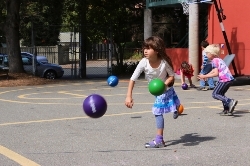 Physical education activities at Berkwood Hedge are tailored to individual students and are designed to be developmentally appropriate in order to maximize physical, intellectual, and social-emotional development. A wide variety of activities are integrated into the Physical Education program to keep students engaged and to give them the opportunity to work on and to develop skills in a number of different disciplines. 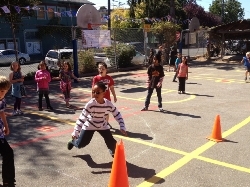 Our students are exposed to classic activities such as jumping rope, hula hooping, and playing tag as well as to novel games created by the Berkwood Hedge P.E. instructor. In addition, many of the activities are game-based and teamwork-oriented in order to help students to develop collaborative, cognitive, and physical skills. 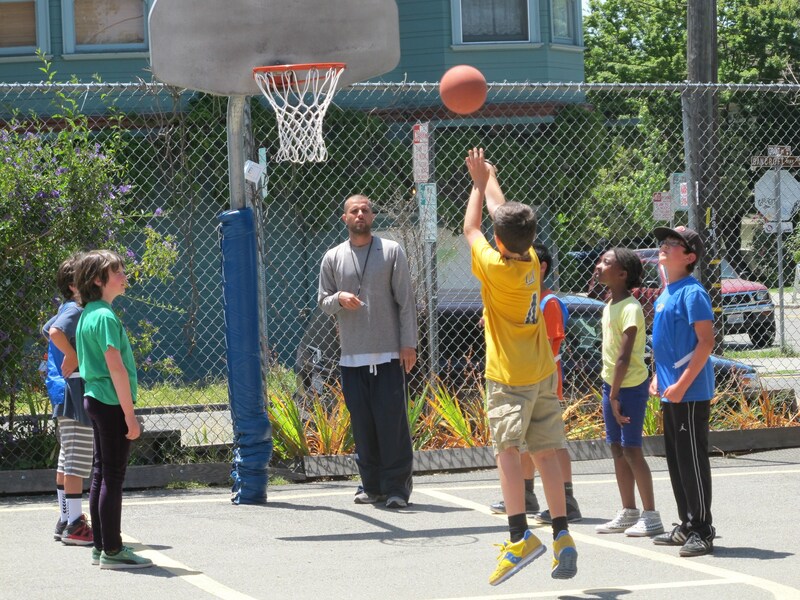 Optional team sports, such as basketball, soccer, hockey and kickball, are also offered during lunchtime throughout the school year in order to give students the opportunity ­­to practice the skills they learn in P.E. and to increase their enthusiasm for sport and physical activity. The Berkwood Hedge P.E. program is fun and inclusive for all students, and we take pride in the enthusiastic and much-loved physical education program we offer.